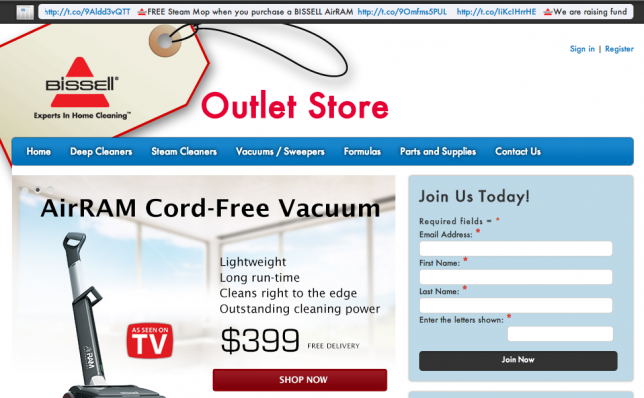 Webtron is proud to announce the launch of a brand new Bissell factory outlet e-commerce website. BISSELL’s new website will be a big step for the multi-national company. It is a shining example of a manufacturer opting to directly generate sales. This will be achieved with customers from their BISSELL factory outlet e-commerce store. And used in conjunction with its regular retail stockists such as Godfreys and Harvey Norman. to make every floor and carpet look brand new. One interesting fact is steam cleaning your floors, carpets and rugs has an important health benefit. The National Asthma Council approves products and services for inclusion in the Sensitive Choice® Program. This means certain products and services may have potential benefits for people with asthma and/or allergies. We wish BISSELL the best of luck with their new website. We look forward to retaining them as a long term client of ours.